Don’t take your dog for a walk tonight without reading what you need to stay safe when walking your dog in the dark. Staying safe while walking our dogs is a top priority for me, especially on the nighttime walks. I walk our dogs every evening after dinner. The summertime is wonderful; it’s warm, bright and sunny until almost 9pm. But starting October, it gets dark so early; we bundle up and walk under the light of the street lights and moonlight! We live in a small suburban town with almost no violent crimes, but I still take every precaution I can to stay alert and safe when walking our dogs at night. There are many options when it comes to visibility products for night time dog walking. I bought our LED leashes last year and LOVE them! Now, you may know, I also love our leather leashes. BUT when it comes to night time walks, I totally recommend the LED leash. I purchased ours on Amazon, sold by Illumiseen. It is rechargeable via USB connection so no worries about battery replacement. Simply charge it for one hour to enjoy at least 5 hours of illumination. I seriously think it lasts much longer than 5 hours, but I haven’t performed any technical studies on it… I just know it’s been almost 2 weeks since I last charged our leashes, and we walk every night for about 45 minutes. Illumiseen also sells LED Collars and LED Necklaces which look really cool. I just haven’t seen a need for our use, as I never have our dogs off leash outside at night. But I can see this being useful for dog owners that take their dog to dog parks at dusk. Or maybe if you have a large yard or farm that you want to be able to keep track of your dog running around. How cute is this! Dog and owner can match in this Reflective Safety Dog Vest and Reflective Human Vest. If you don’t want to buy a new leash, than how about making you and your dog reflective. This would be great if you walk in a high-traffic path or need to walk on the street, since these vests will reflect the car lights passing by. Plus, The Friendly Swede brand even offers a lifetime warranty! Having a flashlight with you can help you see other dogs and people around you. And of course don’t forget the basic need to pick up your dogs poop, which can be hard to see in the dark! (Read the 5 Rules of Walking your Dog Etiquette) Did you know they make special flashlights just for walking at night? Not that you need anything other than a standard flashlight, but these options can make it a little easier to shuffle a flashlight and your dog. This may be obvious and I think most of us carry our phones everywhere with us anyway. But simply having your phone can be a lifesaver. And did you know that most phones have an emergency speed dial option? Honestly, I haven’t owned pepper spray since I was in college! I’ve lived in small suburban areas since, so never felt the need to carry it. But if you live in a large city, high-crime area, or it simply makes you feel safer, then please carry a small pepper spray product. The Mace Brand makes them stylish and easy to carry. If at all possible, be careful not to spray this near your dogs face. I know in an emergency this may be the last thing you are worried about, but something just to think about. 1. Take familiar route, preferably one that is lighted. Opt for a route you have taken in the daylight many times before, somewhere you easily know your way around. Walking alone in an area you don’t know can get confusing very quickly at night. The last thing you want to do is get lost at night walking your dog. 2. Be aware of your surroundings. As stated above, knowing where you are is helpful, but also be aware of other people and dogs around you. Keep your eyes wide open, always scanning your pathway. Keep a confident posture… criminals are always looking for the easy target. 3. Do NOT wear headphones. This goes with being aware of your surrounds when walking your dog at night. If you are wearing headphones, you won’t hear someone walking up behind you, or a car that may be out of control. Just enjoy the peacefulness of the night air. 4. Do NOT use a retractable leash. Okay, so I strongly advise against using retractable leashes at any time of day because they are dangerous. But they are even more so when walking your dog at night. The long black thin line is impossible to see at night, which can cause tripping, your dog getting wrapped around a post, and in general you not being able to see your dog at a distance in the dark! 5. Walk with a friend. I don’t know about you, but I was always taught “safety in numbers”. So walk with a friend, neighbor, or your spouse. In conclusion, just be safe while walking your dog at night. I personally use the LED leashes, bring my phone, walk in the areas around my neighborhood and am always super aware of my surroundings. I use my phone as a flashlight instead of carrying a separate flashlight, so I can see when I have to pick up the dog poop. P.S. I would love to hear how you stay safe when walking your dog at night. 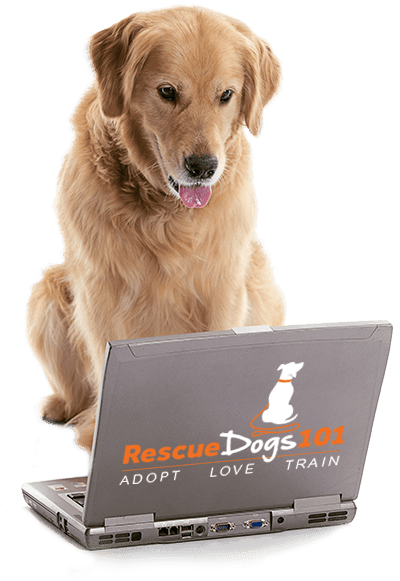 Let me, and the Rescue Dogs 101 Community, know in the comments below.